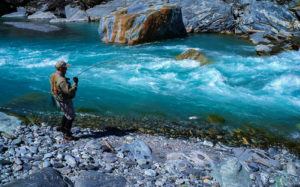 The NZPFGA membership represents fishing guides who are held to high angling ethics* and standards, and promote the sustainable management of New Zealand’s fisheries. The service will be of highest professional standard. * actively promote catch & release, environmentally responsible, uphold and observe all laws and regulations amongst many other ethics. 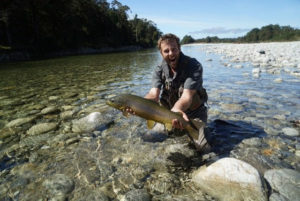 An indication of the costs for a fishing day for 1- 2 people will be between NZ $850 and $895 depending on the particular fishing guide & region you wanting to visit. Our guides will take a maximum of two anglers out for safety and logistical reasons. 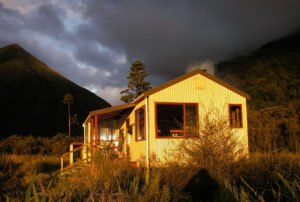 Your trip options are many with single day(s), road trips, helicopter trips, boat access, hike in, tent camping and back-country hut stays. You choose, we make it happen. For more information or a quote to organize an individual fishing holiday that will be memorable, exciting and truly mind blowing, send me an email… nans@southernlatitudeguides.com. 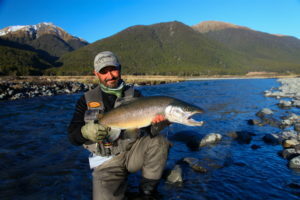 Testimonials for Fly Fishing Guides on TripAdvisor & Facebook. Hey Nans. Had a great day with Richard. Learned a lot and had fun doing it. His tips may have paid off I’ll send a photo through. I have to say this as good as it gets in terms of a guide service, not to mention the incredible areas to fish. Hans and Mike are excellent guides. I had the distinct pleasure of fishing with Hans who put me on some superb fish and provided an incredible fishing experience. He interjected humor along with teaching me much about fishing for the wary trout of NZ. The real bonus though is dealing with Nans, as she is Uber organized, delightful to deal with, and provided an experience that was effortless, as she lined up EVERYTHING! – Good on ya Mates. Robert Coker.